Per Gessle makes film music for Jonas Åkerlund's next film "Small Apartments", according to a piece of news which appeared on Roxette's Facebook page. Per Gessle, 52 years old, is one of those stars located highest up on the "wishing list" at the Swedish television TV4, before the next session of the program "Så mycket bättre" (So much better). The same as ABBA, Joakim Thåström, 54, Charlotte Perrelli, 37 and Veronica Maggio, 30, Roxette profile is one of the most demanded. Talking about job, there is even more job now, although not what Gessle needs. 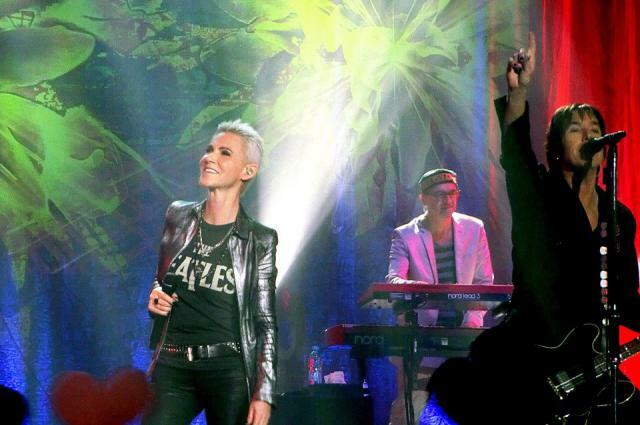 While working with Roxette, he has recently started a new project about film music. When Jonas Åkerlund has the premiere of his next film, a black comedy called "Small Apartments", later during 2012, Per Gessle will appear as part of the team. 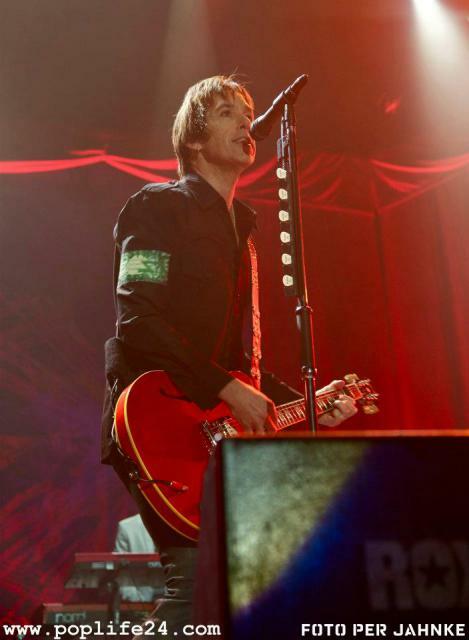 Gessle describes this music as being similar to the music he has written for his solo project "Son of a Plumber". 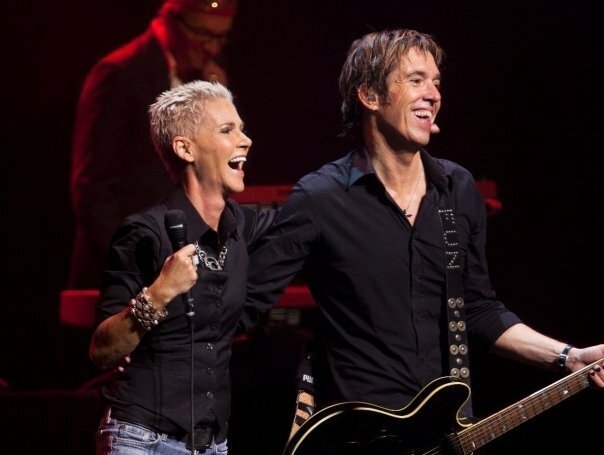 Roxette played in Malmö on the 4th of November, after 25 years since Per Gessle and Marie Fredriksson announced that they had built the group that today is considered to be something mythical: Roxette. After many attempts to conquer USA, they got their first Number One in the USA with ”The Look”. History says that it has been possible to have a huge success in America due to a fan. He must have liked ”The Look” so much that he gave the record to a well known radio station in the USA and he continued to call them until the program chef listened to the song. That radio station included ”The Look” in its playlist and after that the song became quickly a huge hit. After 75 million sold records and 4 Number ones in Billboard, they come back today with a big tour. And we don't mean a little cheap tour in Sweden. During one year they succeeded to play in most of the countries in the world. We can mention here Russia, Brasil, Germany, Israel and many others. Next year they are supposed to play, among others, in Hong Kong, South Africa, Australia and England. 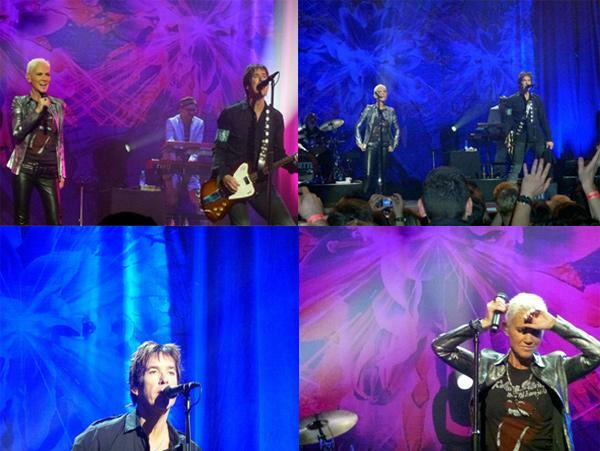 Roxette rocks the TUI-Arena in Hannover – here you find also several pictures! Once again, the same thing like it was earlier with Per and Marie on „Joyride“-Tour: 7000 fans celebrate the comeback of the successful duo from the '90s – Roxette – at TUI-Arena. Look what Google Translate means and you will understand why I am against it! :( At least look at the pictures, they are really nice! It is the comeback of the year. 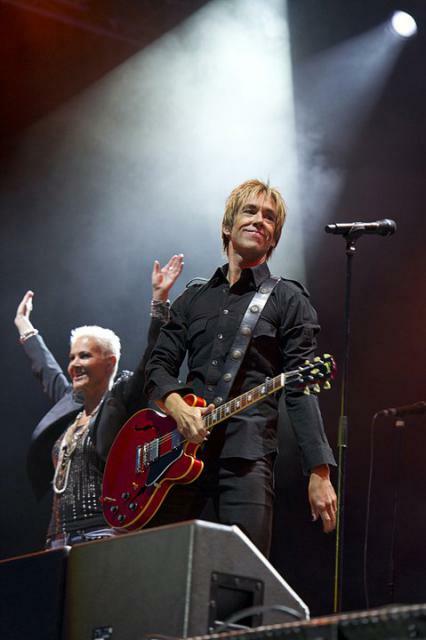 After a ten years break, Roxette come on the stage here in Niedersachsen. MANNHEIM - After shortly visiting my cousin and her family in Calw (birthplace of Hermann Hesse), it was time to move on to Mannheim. A dear friend of mine, was already waiting outside the SAP Arena. So far, we attended different shows and it was our first indoor concert of the current tour for both of us. We were excited about the new touring equipment (stage and lights) and of course we wanted to hear "C!B!B!" and "Soul Deep." At this time, we didn’t know what to expect. More and more people showed up at the SAP arena. It seemed that approximately 70 % of the tickets were sold. Support act Mobilée did a good job and the audience honored their performance. 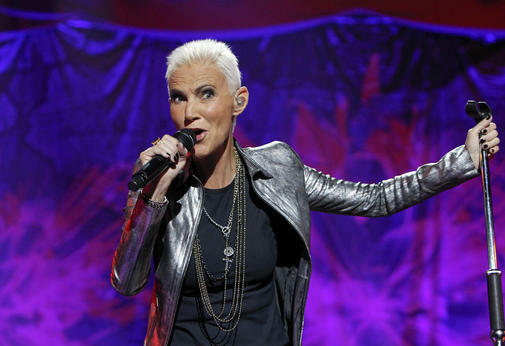 But everyone was waiting for Roxette to enter the stage. Then at 9.00 PM they started with "Dressed for Success“ followed by "Sleeping in My Car“. The group Vikunja from Halmstad will open Roxette concerts when they come back to Sweden to play in Malmö and Stockholm at the beginning of November. Vikunja is a young band from Halmstad with the future in front, a band which has got a lot of attention, even if they haven't released their first album yet. Vikunja opened Roxette concerts even last year. It is Per Gessle who has seen some materials from this band and since then, he has played them at his radioshow Nordic Rox, on the American satellite radio channel Sirius XM. The group is still writing in the studio together with the producer Mats Valentin who earlier worked with Carpark North, Viktorious and Kelly Clarksson. Vikunja's music can be described as ordinary radio pop songs, mixed with arenarock sound, everything with a clear British influence.